Sample Query Use an embed URL from Talkwalker. To create a data source using Talkwalker, go to the Connector Gallery page in Klipfolio and select Talkwalker. 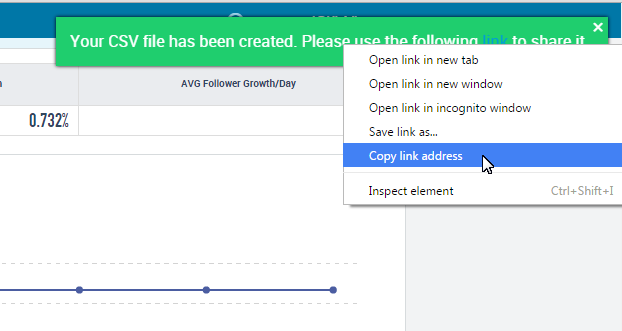 In order to bring your Talkwalker data into Klipfolio, you will need to copy a Talkwalker embed URL on the REST/URL page in Klipfolio. 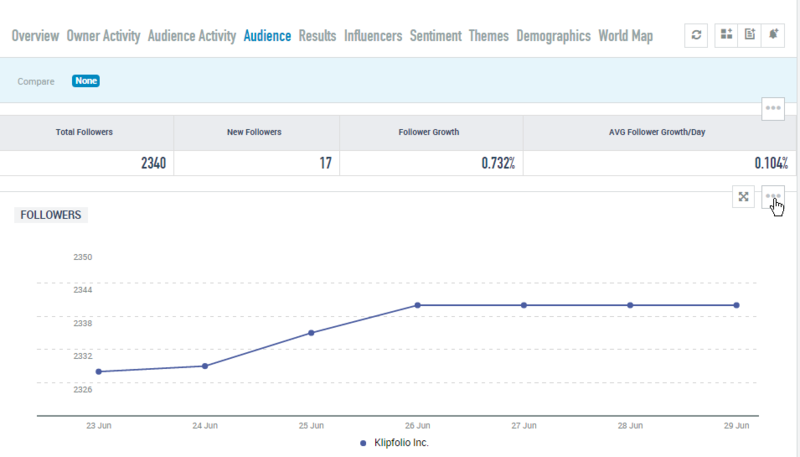 Find the chart that you want to display in Klipfolio. Select the ellipsis button of your chosen visualization. 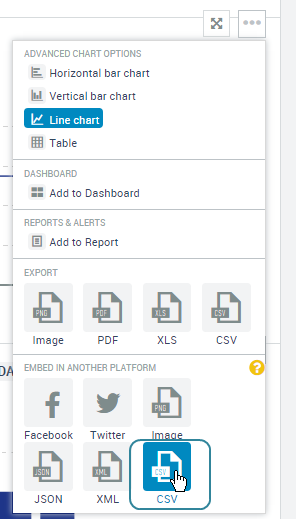 In the drop-down menu, at Embed in another platform, select the data type you would like to retrieve, for example, CSV. Note: You can choose other data types. In Klipfolio, paste the URL on the REST/URL page. At Data Format, select the format you chose in Talkwalker. In our example, CSV.